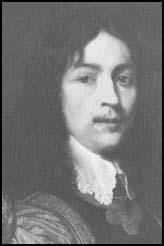 Charles Gerard, the son of a Lancashire landowner, was born in 1618. He was educated in France and on the outbreak of the Civil War joined the Royalist forces. Gerard commanded a regiment at Edgehill. He impressed Charles I and in 1644 he appointed Gerard as commander of his troops in south west Wales. Gerard's royalist forces soon won back the territory that had been lost and by the summer of 1644 Rowland Laugharne and his soldiers had been forced to return to Pembroke. After the Battle of Naseby the king withdrew to Raglan Castle. Charles hoped that he would be able to persuade more Welshmen to join his army. However, Gerard's treatment of the Welsh after his victories in 1644 had turned them against the royalist cause. To protect themselves against Gerard's royalist troops, men in Glamorgan had formed a 'Peaceable Army'. Charles I agreed to meet representatives of this group at St Fagans on 29 July 1645, to discuss their grievances. As a result of this meeting, Charles agreed to remove Gerald as commander of the royalist forces in South Wales and replaced him with Jacob Astley. 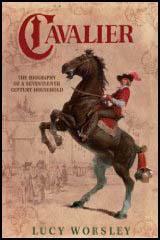 Gerard went into exile during the rule of Oliver Cromwell. At the Restoration he regained his estates and was created the Earl of Macclesfield in 1679. Charles Gerard, 1st Earl of Macclesfield, died in 1694. In the county of Glamorgan some propositions were tendered to his Majesty, which if he would grant, they would continue to defend his Majesty and their country... The meeting was at Kevenoh, four miles from Cardiff. The King agreed to their propositions... They called themselves the Peaceable Army. The King met 600 men in Glamorgan... They demanded that the Papists be removed from the country... and a governor and garrison of their own put in... the removal of the £7,000 demand from Colonel Gerard... The King left Cardiff that night... Gerard was put out of command in Wales, it being the country's demand.